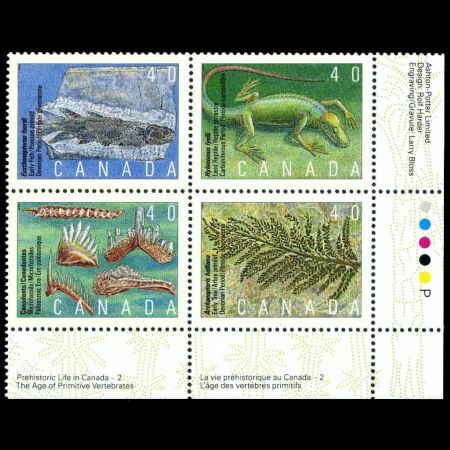 Canada 1991 "Prehistoric Life in Canada, The Age of Primitive Life"
The second set of four commemorative stamps in the four-year series entitled "Prehistoric Life in Canada" will be released on April 5, 1991 in se-tenant miniature sheets of 20 stamps. The series is chronological and covers an interval of time from 1900 million to 10,000 years ago. 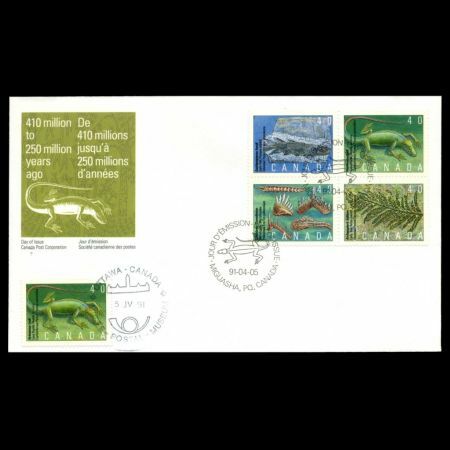 The first four stamps in this series were issued as 39-cent denominations on July 12, 1990. 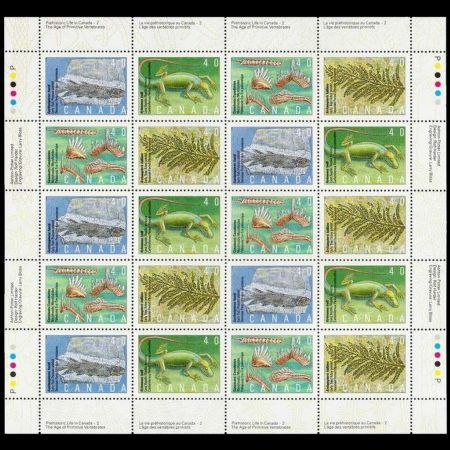 This year the stamps depict organisms from approximately 380 to 270 million years ago which have been discovered fossilized in different parts of the country. 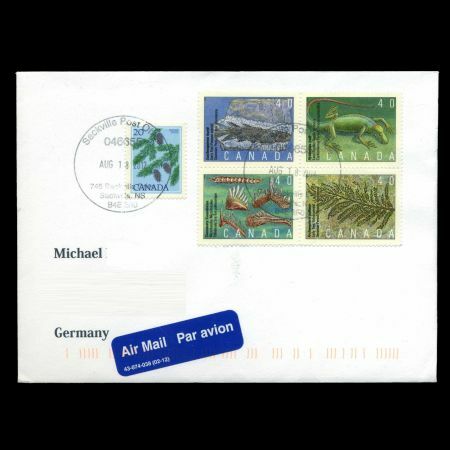 The second stamp shows Eusthenopteron foordi, a prehistoric type of bony, lobe-finned fish. It lived during the Devonian Period the Age of Fish - about 370 million years ago. It had lungs and powerful paired fins, suggesting a form of limbs which may have enabled it to crawl of land. This fish may have been ancestral to the amphibians the first terrestrial vertebrates. This series of stamps was designed by Rolf Harder, a Montreal graphic designer. 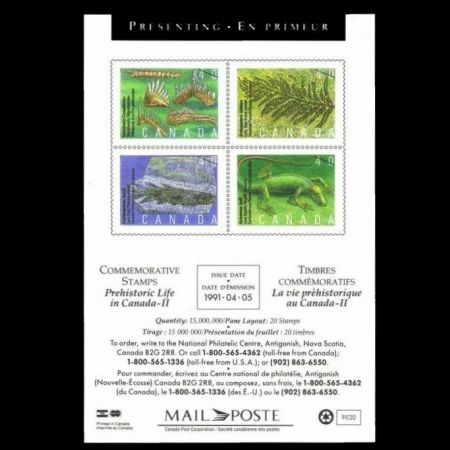 The choice of subjects was made with the assistance of Canadian paleontologists, taking into account the evolutionary importance of the life form, its location in Canada and its visual suitability for depiction on a stamp. Mr. Harder has previously designed two sets of Forts stamps (1983 and 1985), the 1980 Rehabilitation stamp and the recent Parliament definitive stamps.